So let’s make our tenant happy shall we? First of all you will have to sysprep the virtual machines. 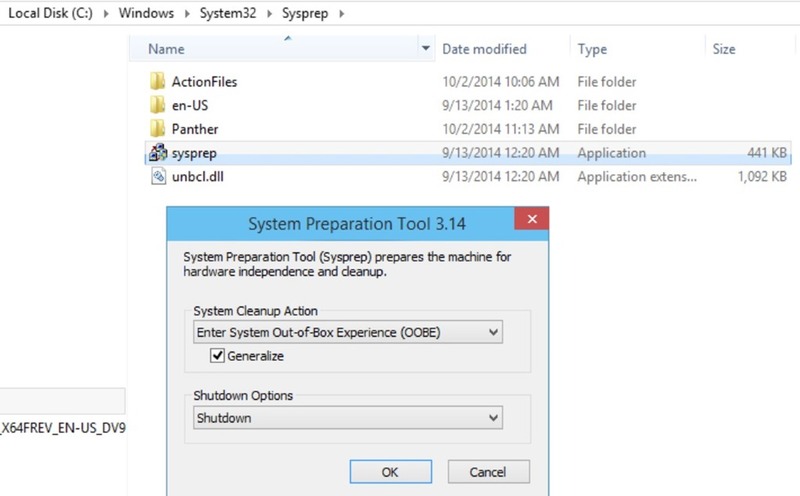 open a Command Prompt window as an administrator, and then move to the %WINDIR%\system32\sysprep directory. Once we have all our virtual machines sysprepped and copied the virtual hard drives we can add them to Azure Stack. 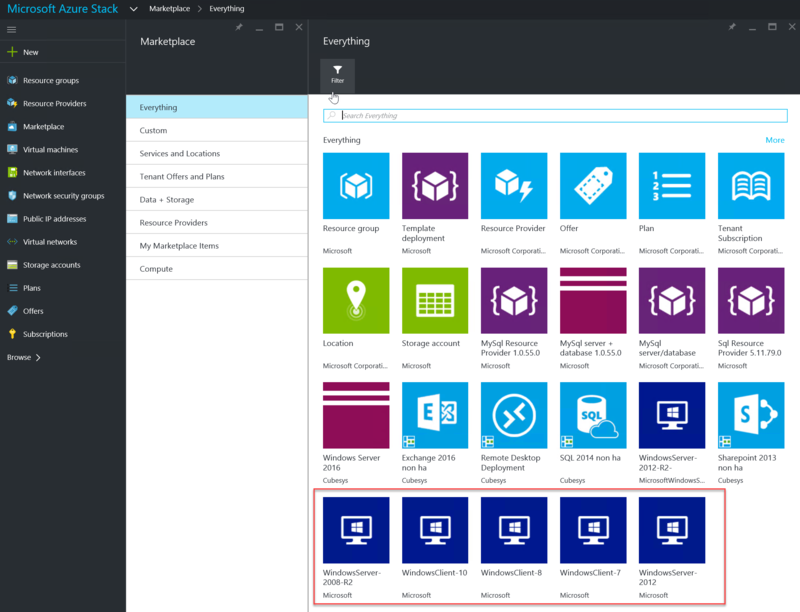 To add a new image to Azure stack it needs to be added to the Platform Image Repository or PIR. 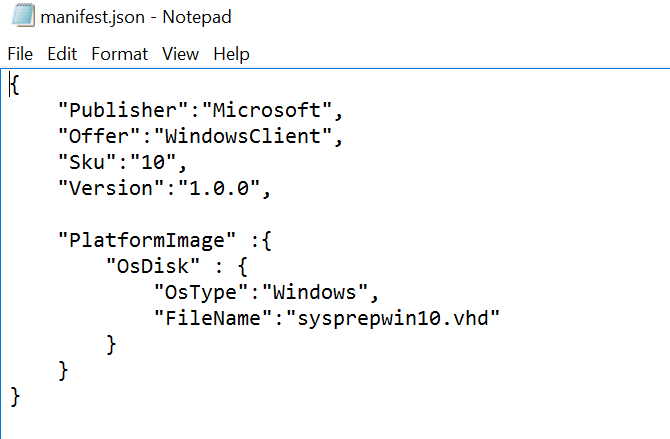 Microsoft has provided a PowerShell script (CopyImageToPlatformImageRepository.ps1) to do this. 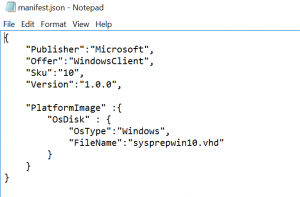 You can find this PowerShell script on the MicrosoftAzureStackPOC.vhd virtual hard drive. For Publisher, type a publisher name, like Microsoft. For Offer, type any value, like WindowsServer. For Sku, type a SKU for the image, like 2008-R2. For Version, type a version in #.#.# format, like 1.0.0. For OsType, type Windows or Linux. Once complete navigate to \\SOFS\Share\CRP\PlatformImages\ and you will see your image with a manifest.json file.